Children in need are eligible to receive free dental care, including cleanings, fillings, x-rays and extractions. 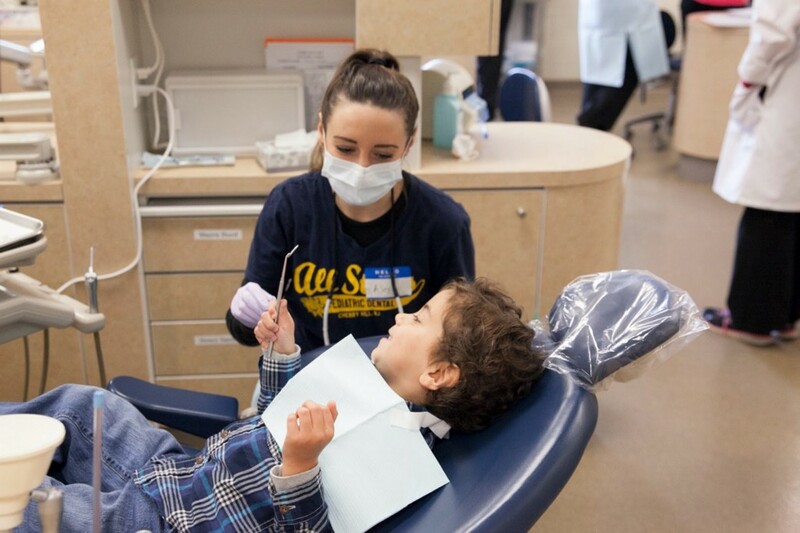 Children in need are eligible to receive free dental care through Rowan College at Burlington County’s 13th annual “Give Kids A Smile” day, Friday, Feb. 3. The one-day program is part of the American Dental Association’s annual push to bring attention childhood tooth decay. Last year, RCBC treated 80 children and performed 915 procedures, including cleanings, fillings, x-rays and extractions. To date, RCBC’s Give Kids A Smile program has provided more than $670,000 worth of care to more than 2,100 children. Children, ages 12 and younger, will receive free preventive and emergency dental care on Give Kids A Smile day. Children who attend the program at RCBC will also be treated to entertainment. The day includes face-painting, a caricature artist, the chance to meet seeing-eye puppies in training and characters like the tooth fairy. Those interested in making an appointment for their child are encouraged to call as soon as possible. Appointments are required and can be made by calling (856) 291–4215. The RCBC Dental Hygiene Center is currently located in the Lewis M. Parker Center, room 318 on the Pemberton campus at 601 Pemberton Browns Mills Road.